Our middle and high school library provides a space for research, independent study and quiet group work. Students can check out Chromebooks, purchase a hot beverage and enjoy research or writing support from Mrs. Julianne Ross, or other faculty. Mrs. Ross plans themes and activities throughout the year to promote reading, including a DEAR (Drop Everything And Read) week, reading challenges with prizes and more. The elementary library next door is full of age appropriate fiction and non-fiction books. Mrs. Ross plans themed activities and works with elementary parents each spring to host a Scholastic book fair. 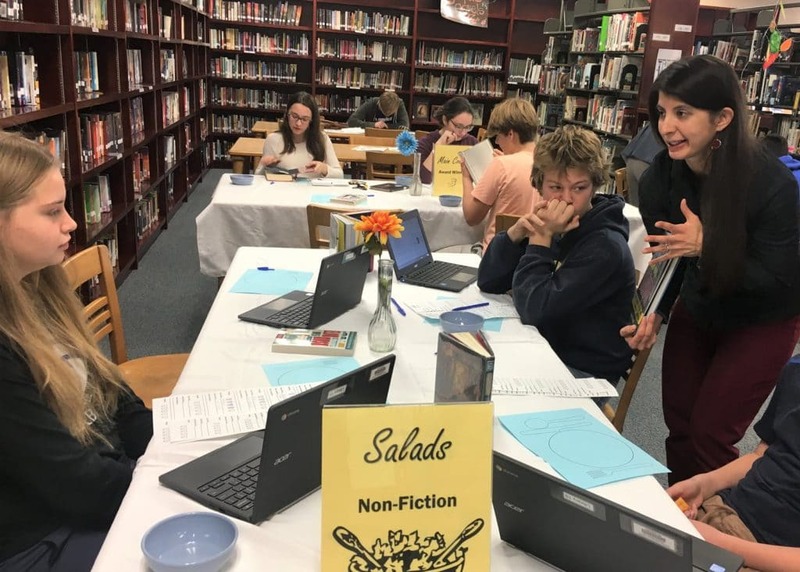 The EMS library strives to be a 21st Century learning environment where members of our school community are encouraged to be effective users of ideas and information by asking questions, reading enthusiastically, thinking critically, and demonstrating creativity. How long can materials be checked out from the EMS library? Fourteen school days, which ends up being about 3 weeks. We charge fines of 10 cents a day per item. However, we include three grace days after the due date to allow for extra time returning the items before fines incur. Can students have an assistantship in the library? Yes! We love involving students in the library. They can request that a period during the day be designated as a teacher assistant for the library. This will be a pass/fail grade. I heard there are hot beverages offered in the library. Can I have a cuppa? We have "Starbooks" hot beverage station sponsored by the SCO. It is only available to high school students and faculty. We have coffees, lattes, hot chocolate, spiced cider, and iced tea available for purchase at 75 cents per keurig cup. You can either purchase a to-go cup for an additional 25 cents or bring your own mug. There are baskets to store your mugs in the library if you are interested. The station is open during most times of the day with the expection of the lunch period. Librarian Julianne Ross gets the tasting started. 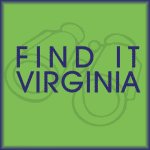 An online resource, available to Virginia residents with public library card, containing magazine and newspaper articles, encyclopedias and other reference works.